The World Health Organisation (WHO) is to review its handling of the HIN1 swine flu pandemic, once it is over. The WHO has been facing charges from some European politicians that it exaggerated the dangers of swine flu. 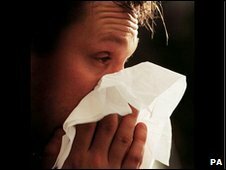 More than 12,700 people worldwide have died from H1N1 - but the virus has turned out to less deadly than feared. However, the WHO initially urged rapid development of treatments and vaccines, fearing the virus had the potential to kill millions. As a result wealthy countries spent billions on medicines which many believe are now unnecessary. Across Europe, governments are trying to resell their stockpiles of swine flu vaccine. She said the the review of its management of the pandemic would be conducted with independent experts, and the results would be made public.